Shown in use with the Weather Vane Accessory, the Wireless Weather Sensor with GPS can be used as a temporary weather station, for GIS activities, to study microclimates and much more. The Wireless Weather Sensor with GPS is an all-in-one instrument for monitoring environmental conditions. 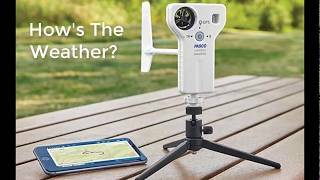 A built-in anemometer as well as sensing elements for temperature, humidity, pressure, light, and GPS the sensor provides up to 19 different measurements that can be used individually or simultaneously. Use the sensor in logging mode with the optional Weather Vane Accessory for long-term monitoring, or use it as a hand-held instrument to study microclimates and record ambient conditions relevant to many biological and environmental phenomena. 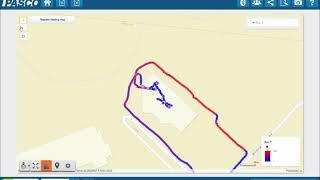 Conduct GIS/mapping experiments using the onboard GPS sensor in conjunction with any of the other available measurements. The new map display in PASCO software provides a way for students to analyze spatial data. 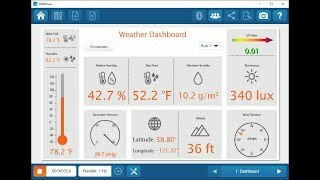 Best of all, even with the versatility and functionality available, the Wireless Weather Sensor with GPS is simple and intuitive for students to use. Note: The anemometer can only be used in winds at or below the max speed rating. Using it in hurricane level winds or with a leaf blower can damage the unit. 19 different measurements that can be collected and analyzed individually or simultaneously. 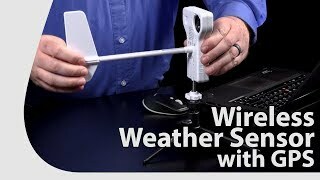 The Wireless Weather Sensor with GPS was reviewed in the NSTA blog on April 8th, 2018. "Tools such as the Pasco Wireless Weather Sensor will be an invaluable component in making the abstract concrete, the enormous manageable, and the experience quantifiable." 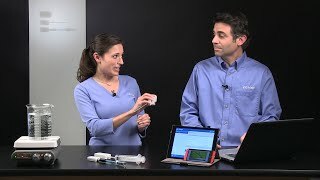 Make storage and inventory of your PASCO Wireless Sensors simple and efficient. This Gratnells® storage tray is designed to hold up to 10 Wireless Weather Sensors with GPS. Turn the Wireless Weather Sensor w/ GPS into a temporary weather station for long term logging experiments with this accessory. Turn your Wireless Weather Sensor with GPS into a portable weather station for long term logging experiments.